2 bedroom, 2 bathroom home on an unfinished basement for sale. 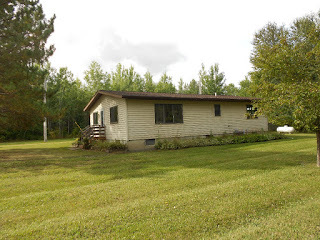 Sits on a quiet 20 acre parcel with trails and an enclosed deer stand. Outbuildings include a nice garage/shop area that's 28' x 48' and can be heated. There is a wood shed and lots of covered storage area, INCLUDING an RV storage spot. Home has dual fuel heating and air conditioning. Really should see this one in person. Nearby recreation includes Lake of The Woods, Lost River State Forest and other parks and reserves for weekend getaways. Contact Ron Streed at 218-634-2715 or Steve Nesmith at 218-202-1135 to schedule a showing today. Priced at $135,000.